Apache Northwest proposed to construct two offshore mini platforms and install undersea pipelines connecting existing oil/gas wells to Apache’s existing Varanus island Hub facility. The Simpson Development is expected to run for approximately 10 years. Apache’s existing operations are centered on Varanus Island, the largest of the Lowendal Islands. 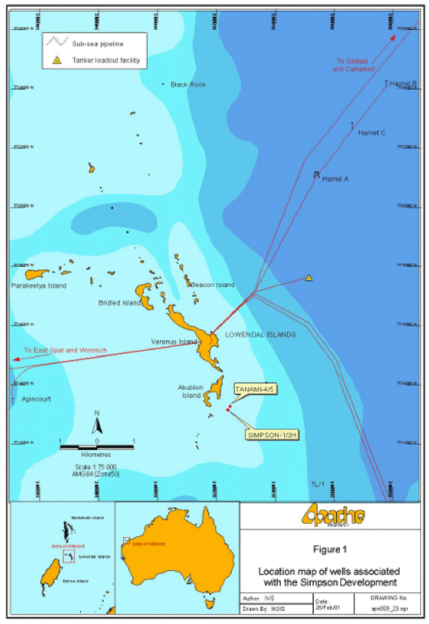 Apache is currently operating nine offshore oil and as installations, ranging in distance from 5–63 km away from Varanus Island. All of these installations are brought together into a central operations area referred to as the Varanus Island Hub. 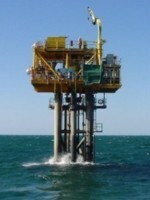 The proposed Simpson Oil Field Development will become an additional installation of the Varanus Hub operations. Amiga Engineering Pty Ltd manufactured a large number of Swivel Flanges, Blind Flanges and many more Various Flanges; to Atlas Steels for this Project. The Simpson Oil Field Development pipeline consists of a production pipeline transporting oil, produced formation water and natural gas; a return water pipeline for disposal of produced formation water into an existing deep disposal well; a return gas pipeline containing lift gas; and an umbilical containing corrosion inhibitor chemicals and dry utilities gas (compressed gas used to drive chemical injection pumps and other pneumatic devices).